I always get compliments on my lipstick and the fact that I can pull it off, and my friends know me as the girl who’s 99% likely to have a fun color on. But I wasn’t always brave and cray cray when it came to bold makeup, especially lipstick. Now, however, I’ll rock blue eyeshadow (blended tastefully, of course) or a bright purple lip like a boss. 1. Own it. People always say, “I could never pull that color off.” Heck yes you can, girlfran! If you like it, rock it and it will look like it was made for you. I promise, you’re the only one who thinks it’s a thing. You’ll have heads turning and people asking what shade you’re wearing in no time. 4. Wear it on the daily. Not saying you have to wear crazy lipstick colors every day of your life, but I highly recommend wearing some sort of color every day (to work, school, run errands) to help build up your comfort level. Once you’re used to seeing yourself in lipstick, it won’t feel so weird when you make your grand debut at the next social gathering. 5. Grow bolder. Start off with lighter shades and gradually progress to darker, bolder and brighter shades. Baby steps, ladies. Baby steps. 6. Stick to seasonal colors. This will help with the shock effect, too. In the spring, feel out the pinks and pastels. In the summer, go for bright pinks, corals and orangey tones. In the fall and winter, experiment with more deep berry, mauve, purple and brown shades. But red? Red is ALWAYS in season. 7. Pick one or the other. 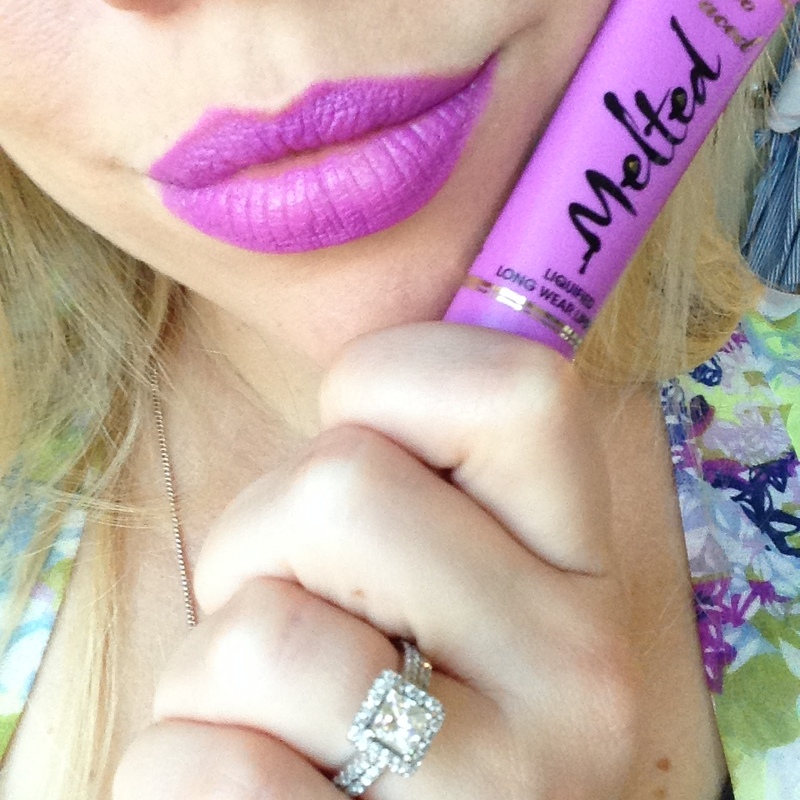 Bold eyes or bold lips – not both. Unless you are going for a dramatic look, pick one or the other. This will help make it easier to accept without freaking you out when you walk by a mirror. 8. Play with formulas. There are TONS of different types of lipsticks – satin, gloss, shine, matte, semi-matte, standard lipsticks, liquid lipsticks, lip creams, etc. You might like one or two better than the rest, so I would definitely suggest playing around until you find a few that are in your comfort zone. 9. Find the right shade. Just because you tried one red and didn’t love it doesn’t mean there’s not another shade out there for you. There are a million shades of the same color, so experiment with different formulas and brands until you find the perfect one for you. *Bonus: Seek advice from a professional! Take some time to walk into a cosmetics store (like Ulta, Sephora, Blue Mercury, MAC …) or visit the beauty department inside a department store. The pros can definitely help you find the right colors for your skin tone, specific event, an even recommend colors to get you on your way to being a lipstick queen. And there you have it! 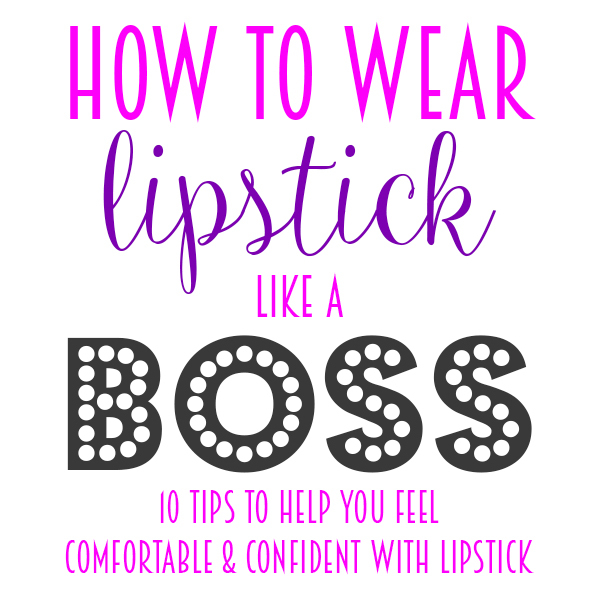 Ten simple steps you can take to bring the lipstick diva you’ve always dreamed of being but never had the balls to be. Just remember – makeup us FUN! There are no rights and wrongs, no reason to be ashamed to wear it, and no one should tell you otherwise. It’s a way to express youself and switch up your look any time you want to, and you should never apologize for it. Do what makes you happy and OWN IT! YASSSS! Thanks, pretty lady. Happy lipstick shopping! Haha great minds think alike, I suppose 🙂 Thank you!